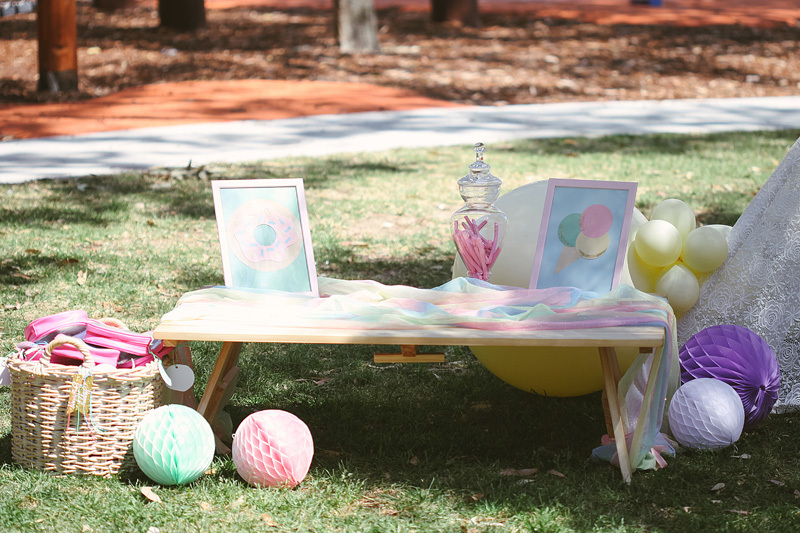 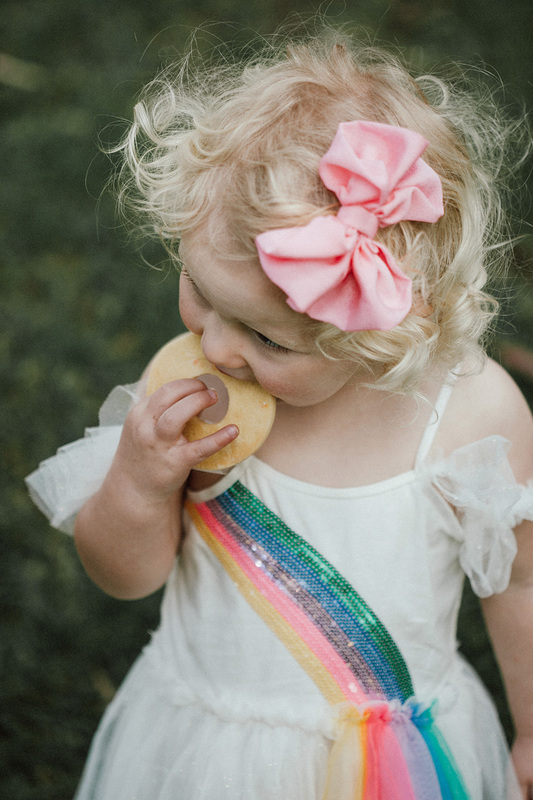 What better way to celebrate Willow’s second birthday than with all things pastel and sweet in true picnic style?! 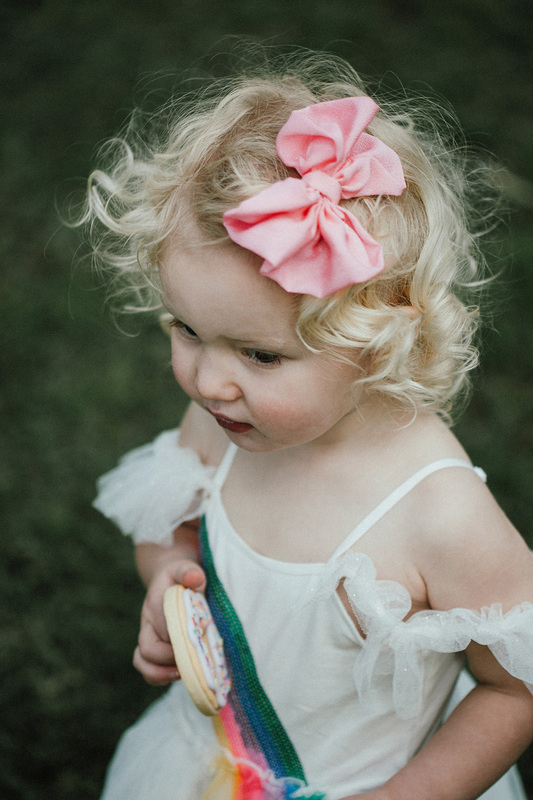 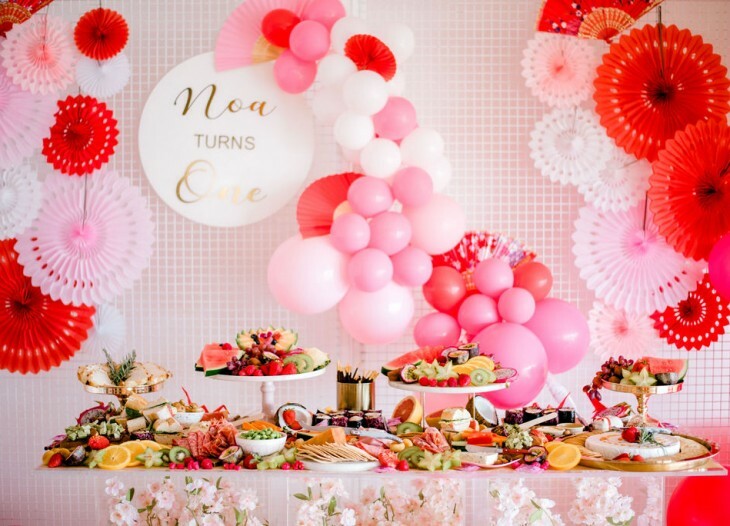 This special second birthday party was full of love and laughter, right down to every little detail. 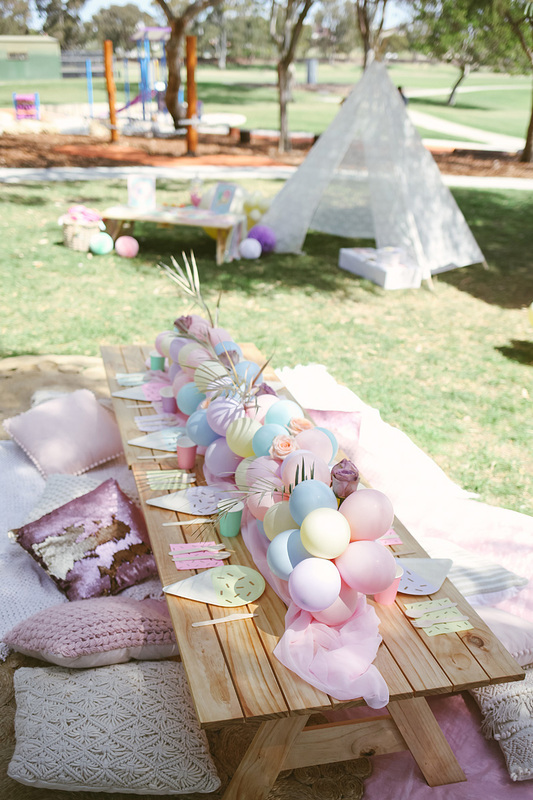 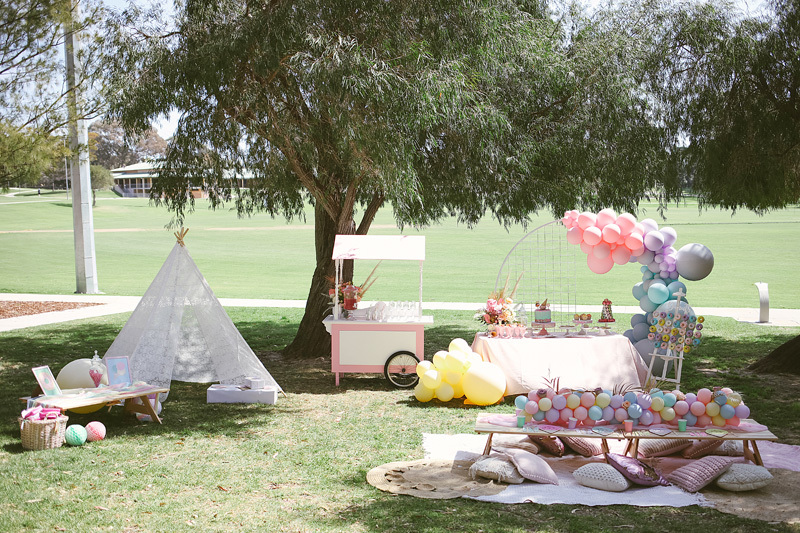 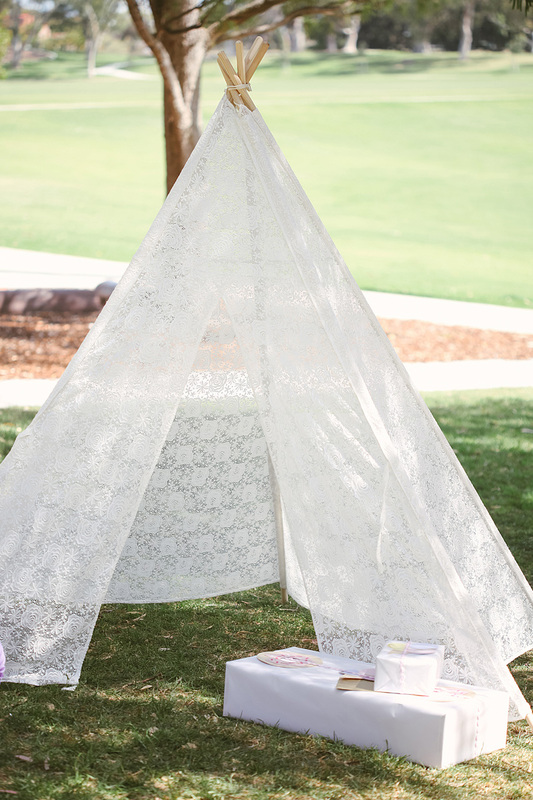 A pastel theme of muted greens, pinks and purples filled MacDonald Park, (Willow’s favourite) making it the perfect setting for this outdoor soiree. 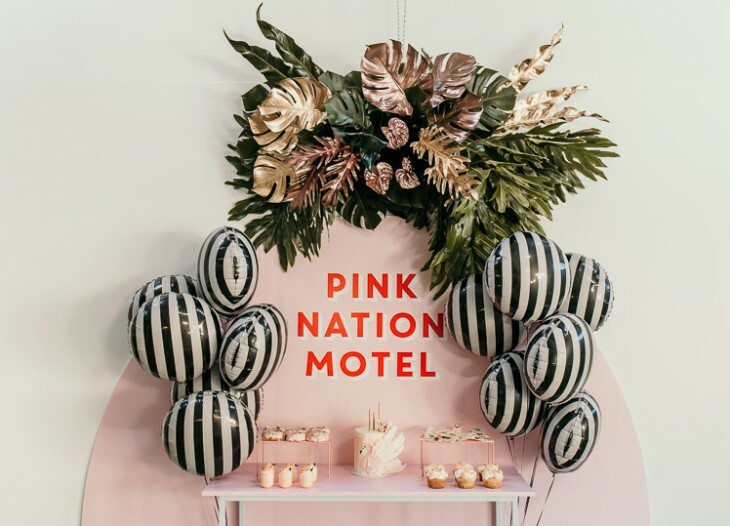 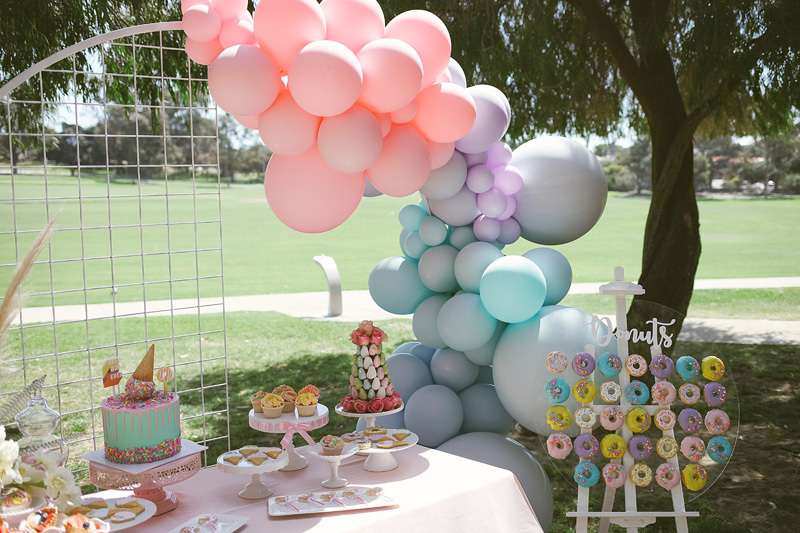 The epic backdrop for this sweet celebration was the white arbour featuring a cascading balloon arch styled by Oh La La Balloon Bar, owned by Willow’s mum Chey. 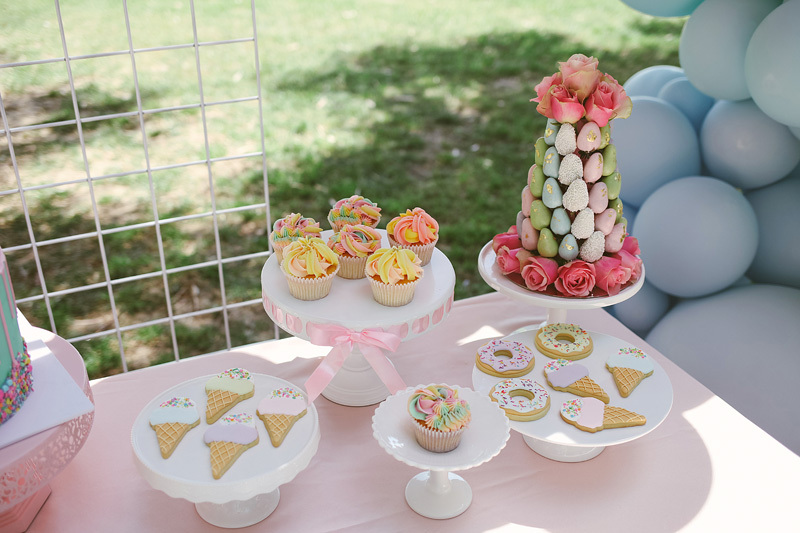 The dessert table boasted decedent sweets, stacked full of cupcakes, iced doughnuts and sprinkle-covered lollipops. 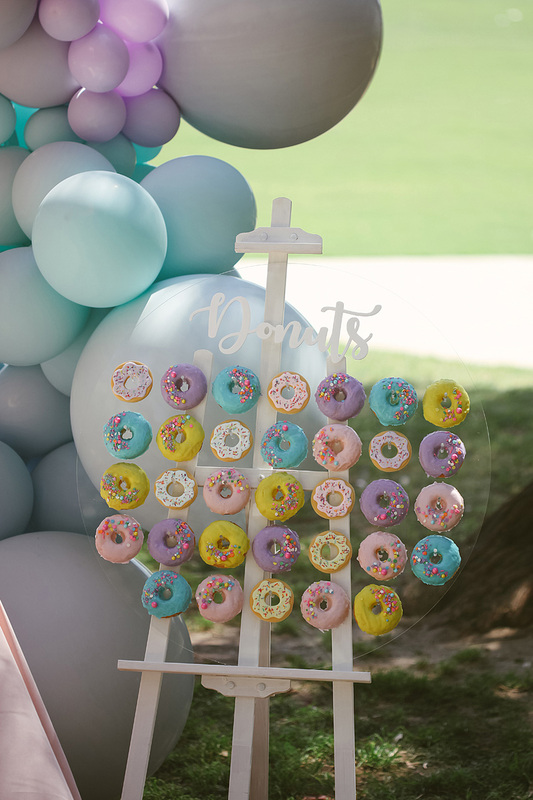 We couldn’t help but obsess over the doughnut stand from XOXO Design – every little party goer’s dream! 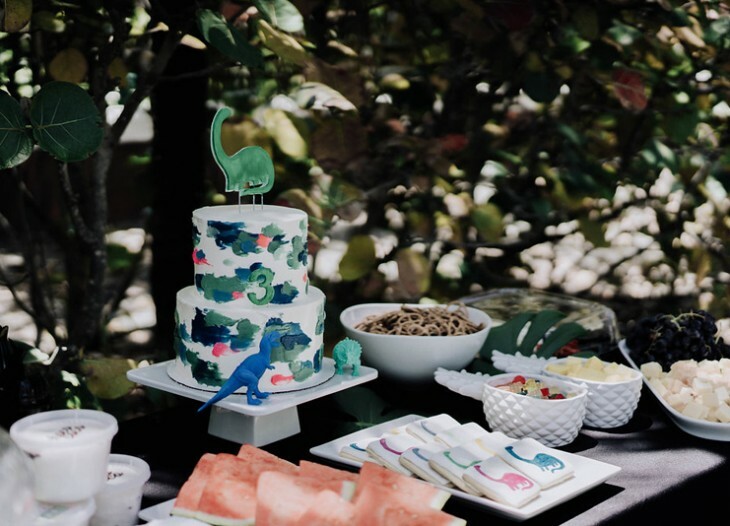 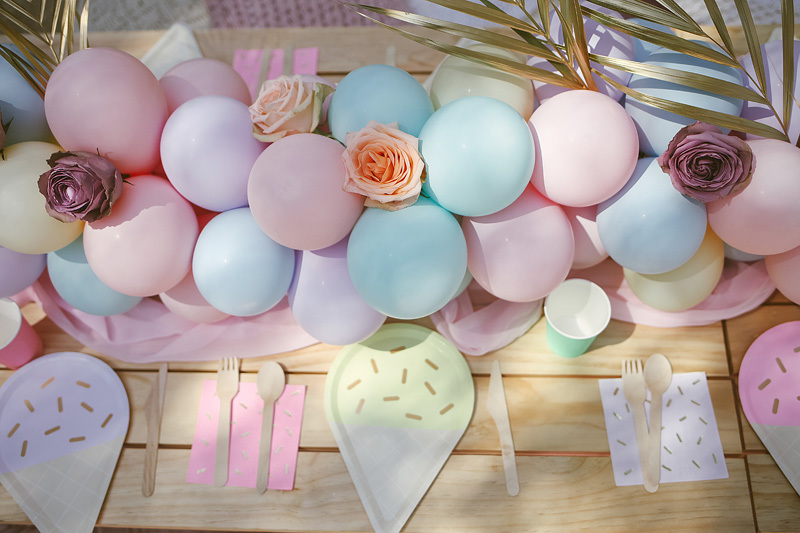 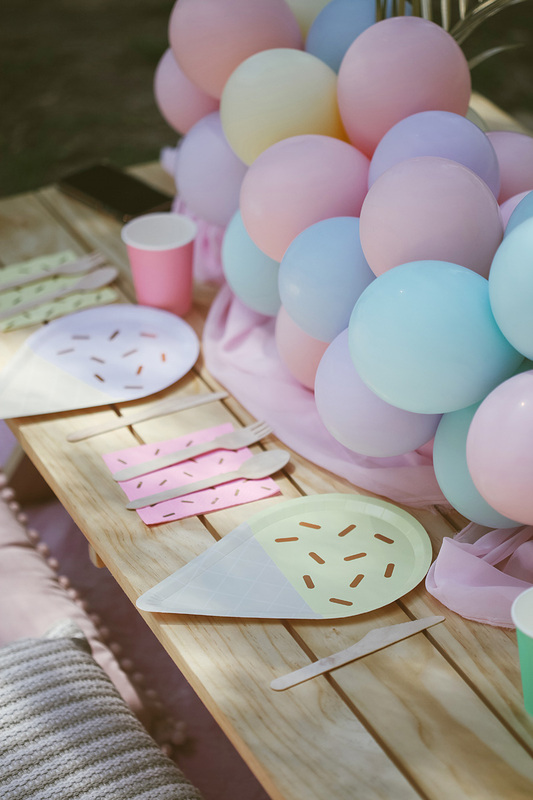 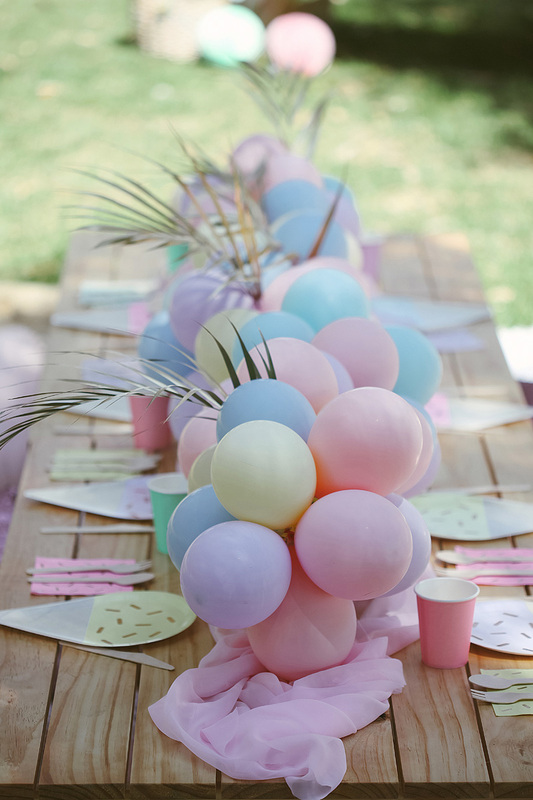 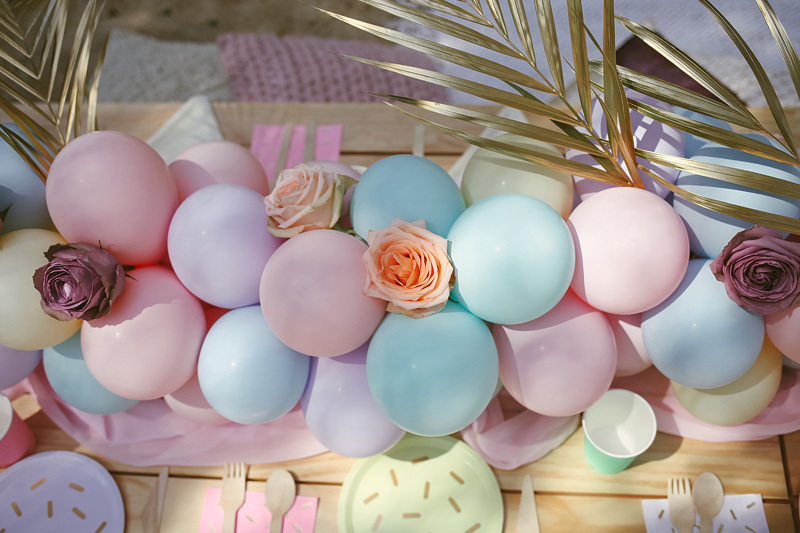 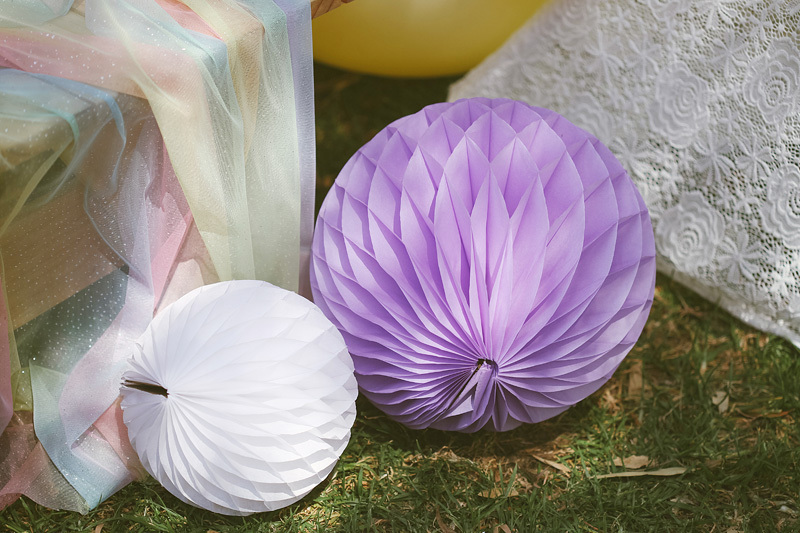 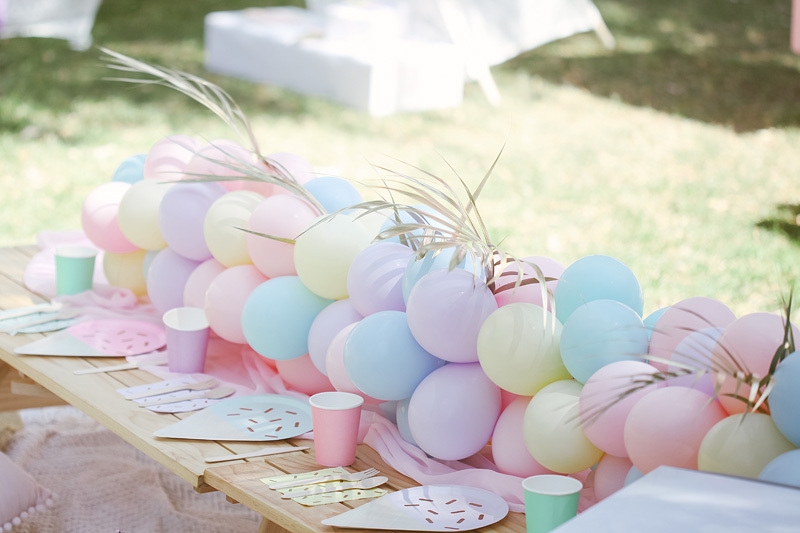 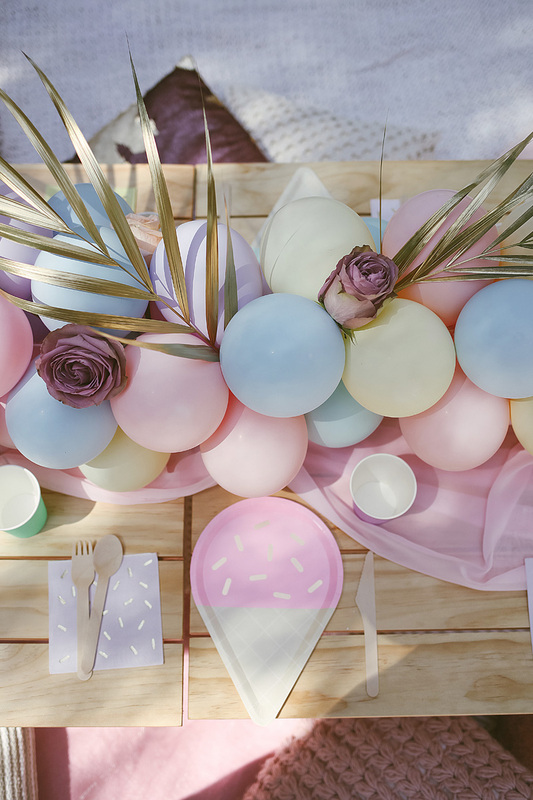 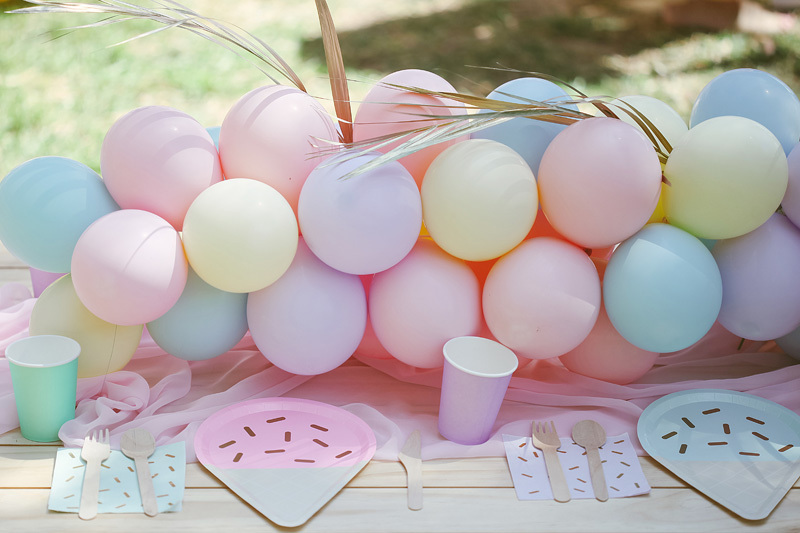 The picnic tables were topped with balloon-filled centrepieces, fresh blooms by Ollie and Grace and adorned partyware from HOORAY! 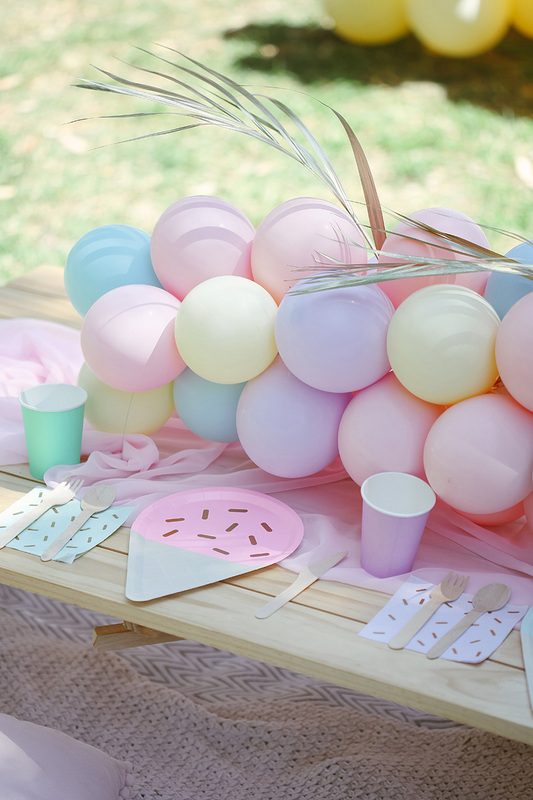 favourite, Favor Lane Party boutique. 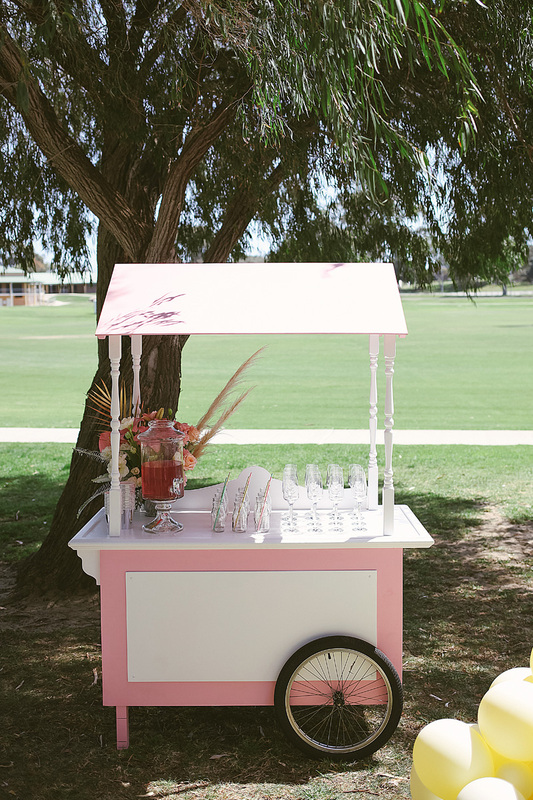 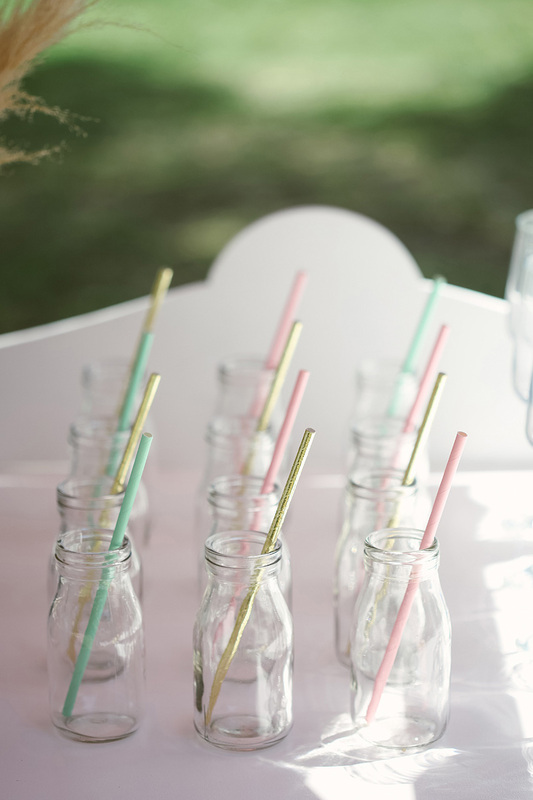 On the day, mini guests were treated to pink lemonade, while adults sipped a well deserved sparkling champagne; all served on the sweetest pink drink cart we ever did see. 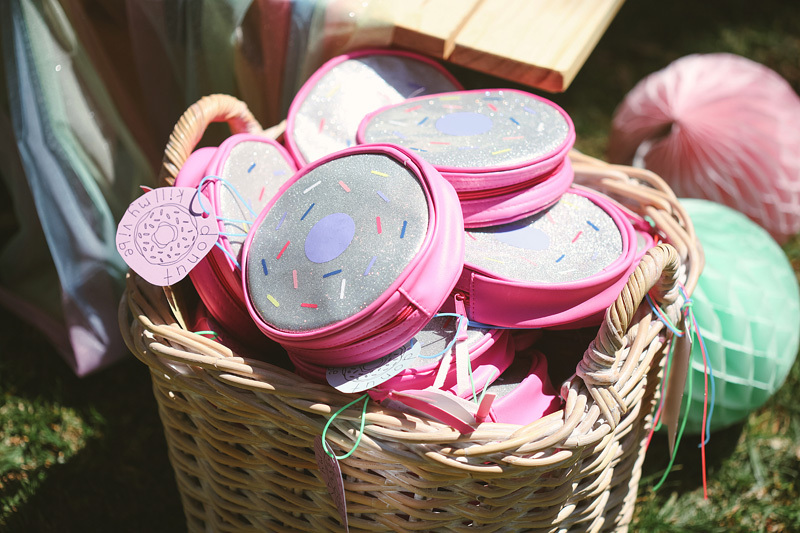 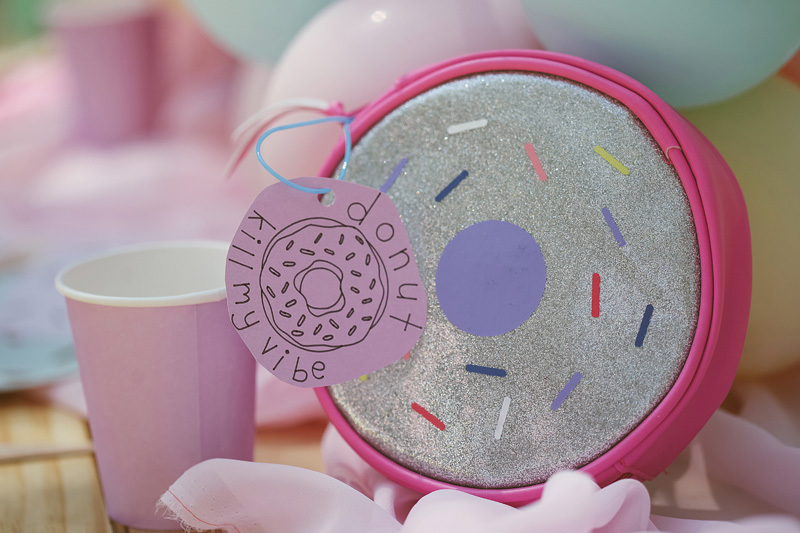 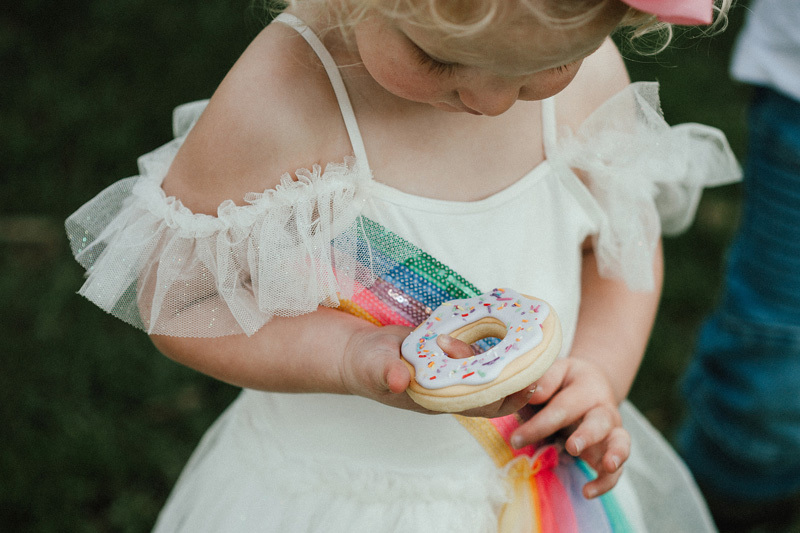 Each guest was gifted a doughnut case to keep as a memento of Willow’s special day with handcrafted gift tags to adding a sweet personal touch. 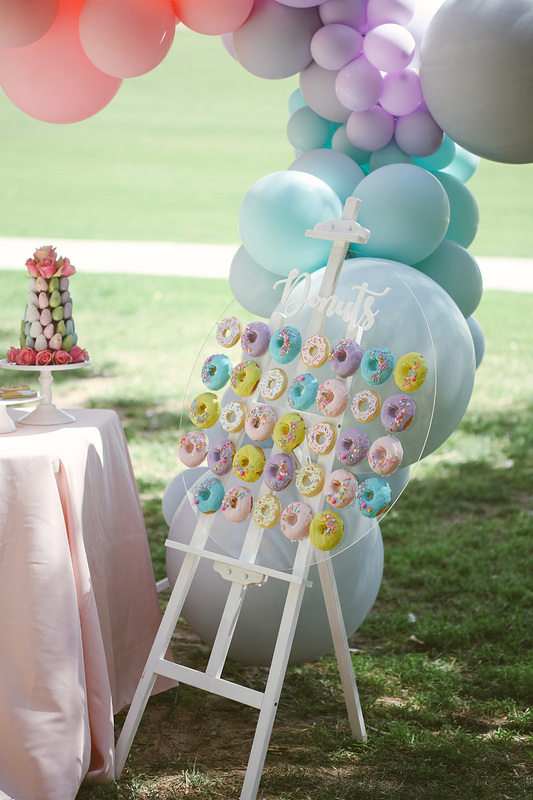 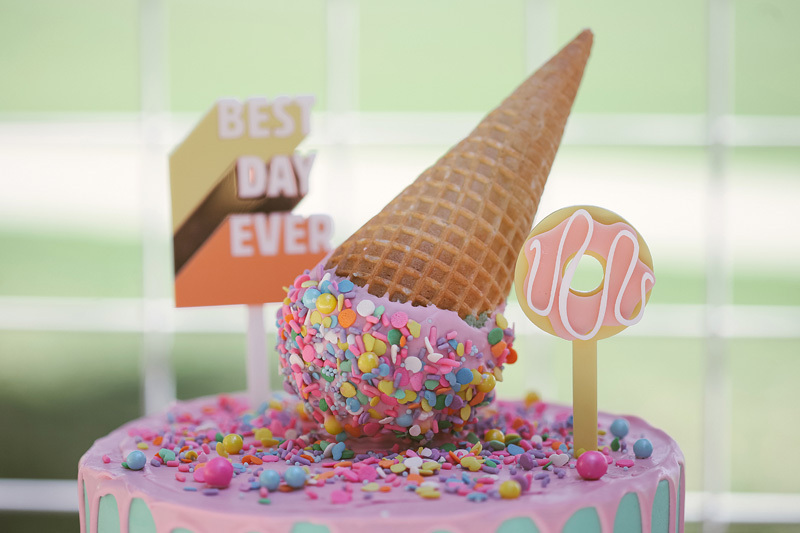 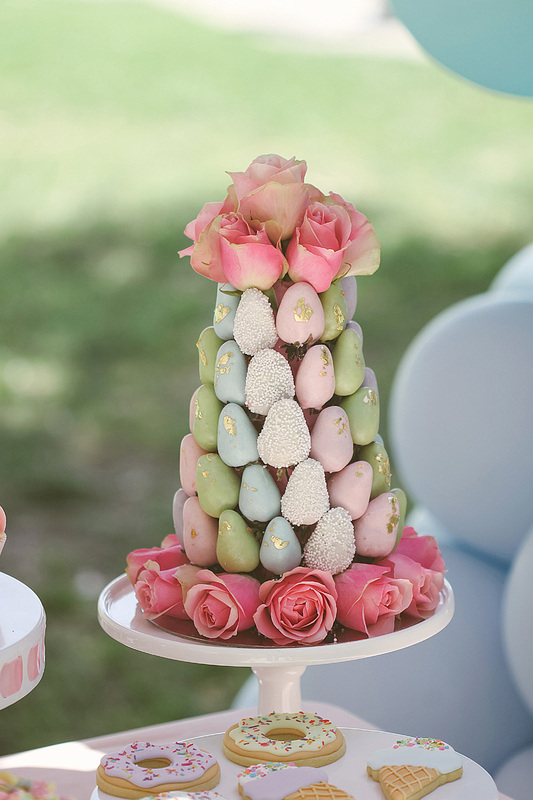 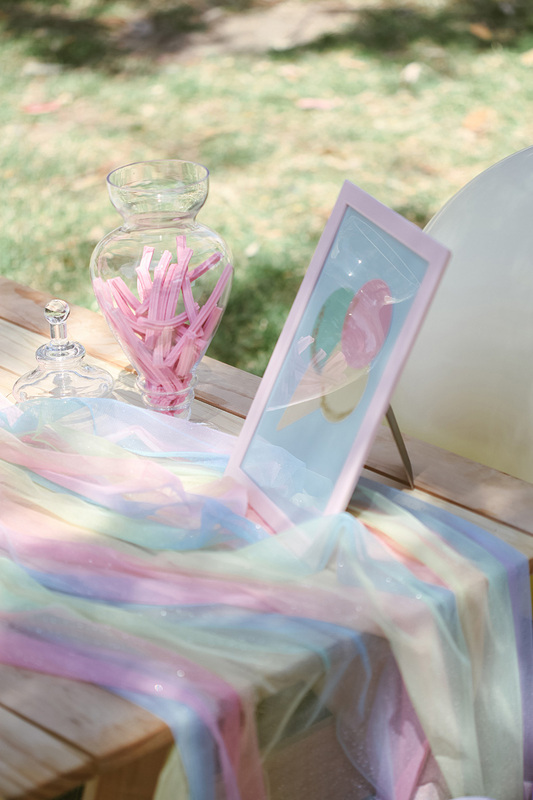 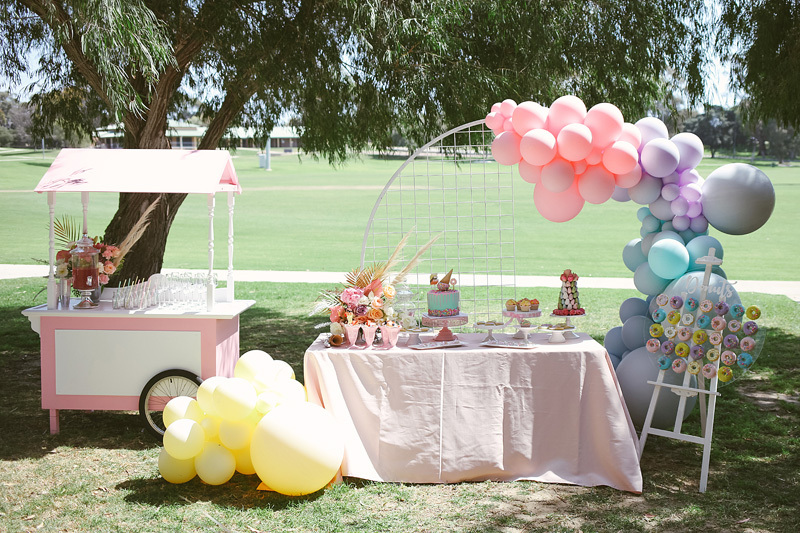 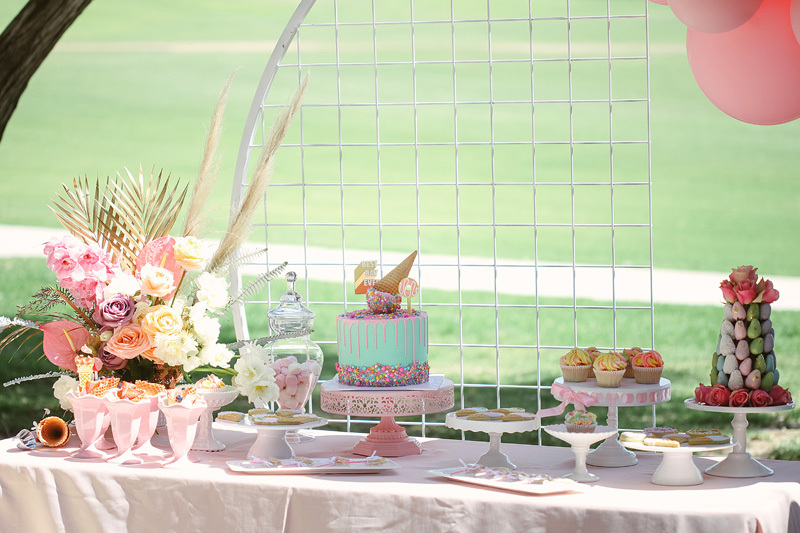 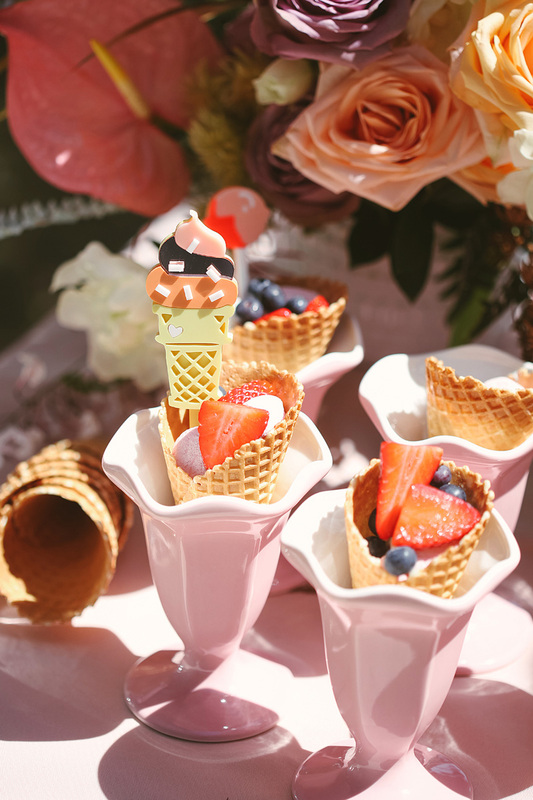 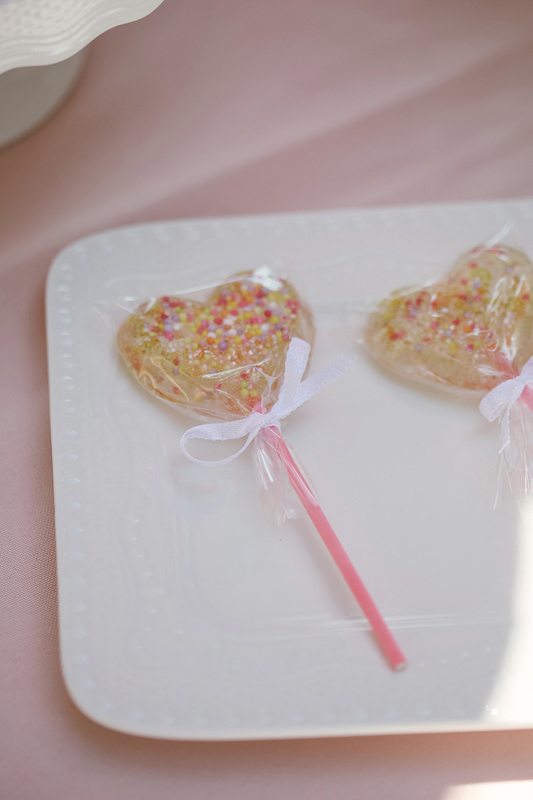 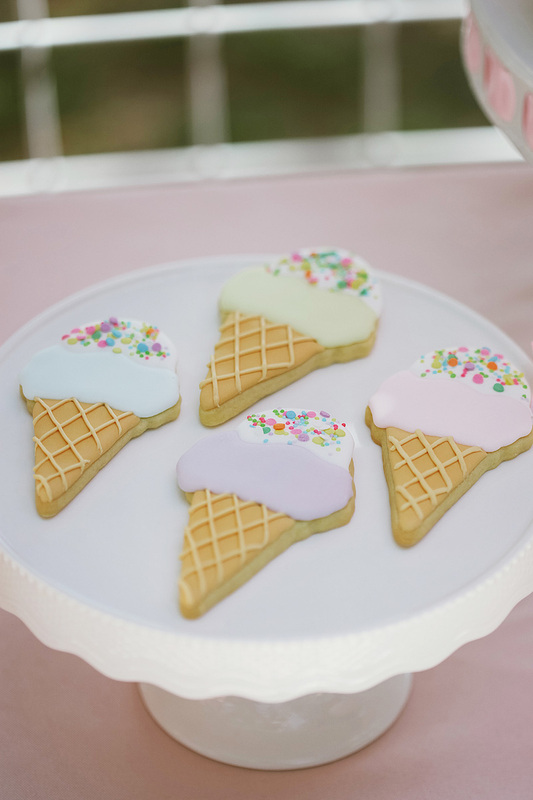 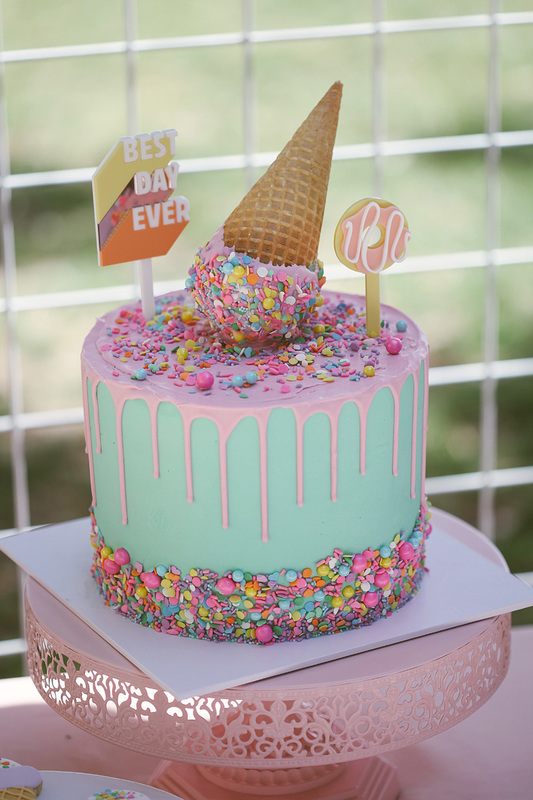 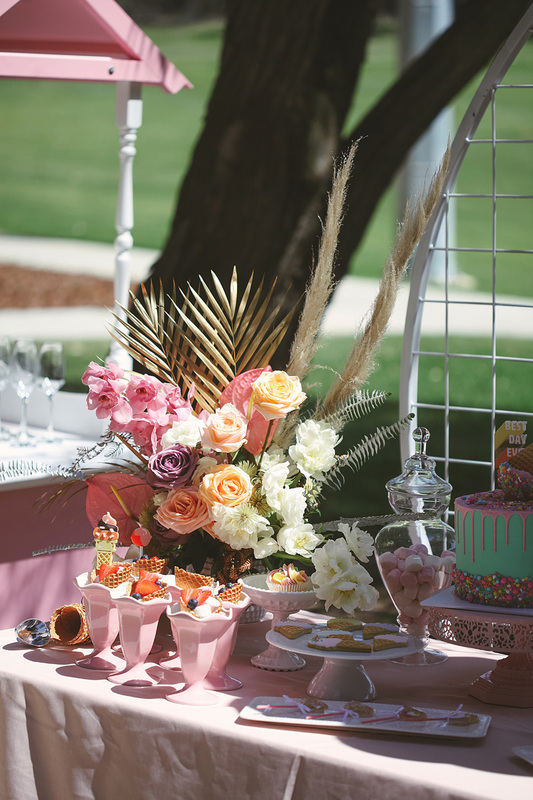 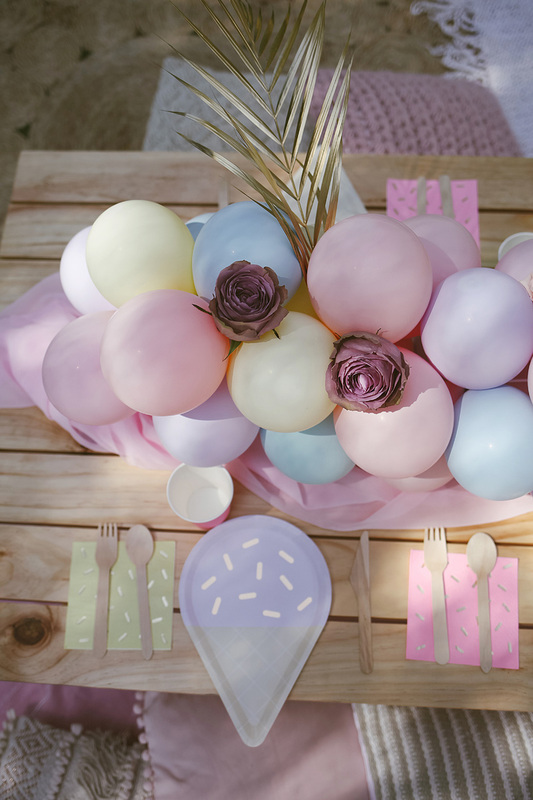 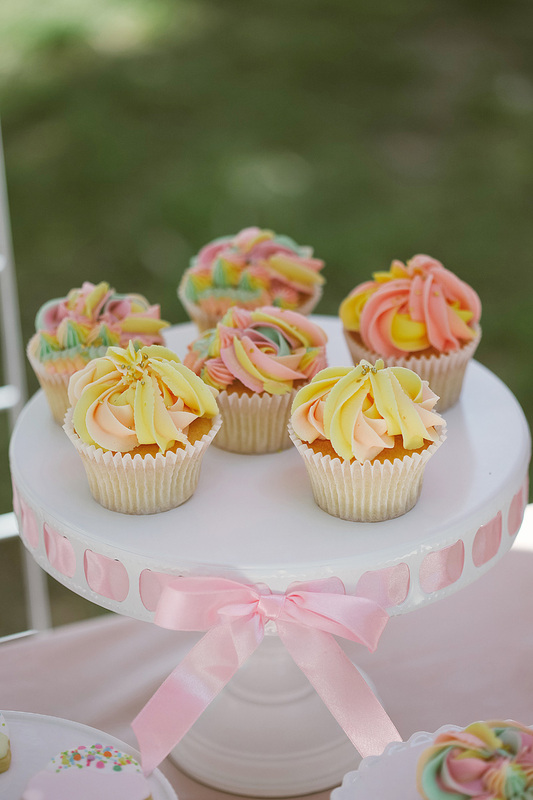 Check out this pastel inspired sweet treat party below!